This song by Gotye also features vocals by Kimbra. I believe that the part where it goes, “And I don’t want to live that way”, up until, “And I wouldn’t catch you hung up on somebody that you used to know” is all C.
Down..down,up – Down..down,up – Down..down,up. 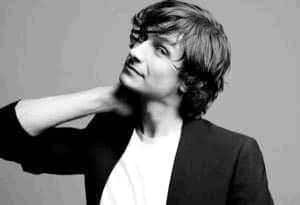 Wouter "Wally" De Backer (born 21 May 1980 in Bruges, Belgium), better known by the stage name Gotye, is an indie pop singer/songwriter and multi-instrumentalist based in Victoria, Australia. Backer was born in Belgium, but moved with his family to Melbourne, Australia when he was two. Originally a member of the indie band Downstares, Backer began performing under the name Gotye in 2001 when the band disbanded. Aside from his solo work, De Backer has been a member of the indie band The Basics since its formation in 2002. .